Chronic back pain is the most common cause of long-term disability and time off work in North America. Five hundred million dollars a year is the cost to the taxpayer. In medicine, we call it a mechanical back pain as no cause is found. Traditional medical treatments for mechanical back pain include exercises, physiotherapy, chiropractic treatments and massage therapy. Many patients take upon themselves self-initiated treatments like stretching, yoga, qigong, reflexology, cycling, running, walking and gym workouts. All these treatments may be effective, but often they are insufficient in treating the physical causes of low back pain. 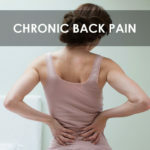 People with chronic back pain need an evaluation by their doctor and to try medical treatments to see if they will be successful. The chiropractor leads the way for treatment for many. Osteopathy and acupuncture are less common. What treatment have you tried? Unfortunately, these treatments may be unsuccessful. Why is this so in the 21st century when we can put men and women on the moon? The reason is the tightness of the muscle and sinew around the muscle called the fascia. In medicine, this is called the myofascial tissue and chronic pain results when shortening or tightening of these soft tissues occur. No matter what therapy is tried to release the tightness, often it’s unsuccessful and the definitive treatment is intra-muscular where a needle is inserted to release the shortened muscle bands. Dry – needling involves inserting the Acupuncture needle into the painful muscle bands found in painful areas. This is done by either an acupuncturist, naturopathic doctor or physiotherapist. If this is unsuccessful, the reason is likely the fascial tissue or sinew around the muscle locking the pain in one location. 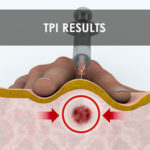 Trigger Point Injections is a similar technique using with a medical needle which cuts through the muscle and fascial layer, resulting in the release of the muscle and fascia with the passage of fluid between the layers, thus allowing movement and release of the tightened bands. When traditional medical treatments are failing patients, I find Trigger Point Injection treatments start the journey where pain can be reduced with mobility and range of function. Quality of life can drastically be improved. Once successful treatments have occurred over 4 to 6 sessions or sometimes more, a return to the normal therapies of physio, chiropractic, and massage may be helpful. The role of active exercise with a physiotherapist or kinesiologist is warranted to further enhance recovery through rehabilitation. A return to normal self-exercises is helpful too. 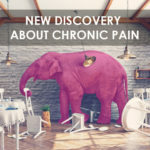 Trigger Point Injections is a relatively underutilized treatment in the medical world, but can be very effective for relief from chronic pain. Maybe you can try it. Check out the Facebook page to see results with Trigger Point Injections. 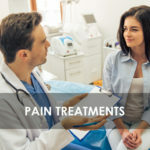 For more information on other effective pain treatments check out my other blog posts.